Veems is a fresh new way to deal with your instant messaging needs! Get it now in Android and iOS. Alongside the rise to fame of the mobile connectivity comes the popularity of messaging apps in the market. These apps conveniently replaces the conventional SMS in sending quick and short messages to our contacts. Of course, there have been tons of titles for us to choose from in several mobile platforms but I have stumble upon one uniquely crafted messaging app called Veems. The title has coined the word “Veem” as a definition of a photo that is accompanied by a four-second audio (voice or ambient sounds). It’s like Zoe’s in HTC smartphones only that it is native with the Veems app. Going back to the messaging platform, Veems is one of the apps that is very easy to use. Unlike some popular apps like Snapchat, the interface is very easy to navigate; and it’s very easy to get around the app even if you’re a first-timer. Stickers are also very popular nowadays and I am so happy that the Veems developers include a wide selection for us to use. 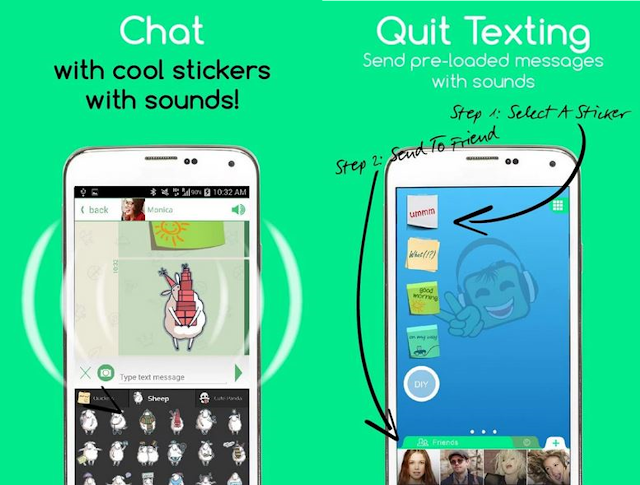 Unlike any other apps, the Veems offers variety of stickers with sounds which makes it very convenient to exchange messages compared to the conventional typing or sending of voice messages. You will have two presets in sharing Veems – private and public. The latter allows you to tag you Veems in any category you like. You can now grab Veems in Android and iOS, it’s another cool way of interacting with friends and loved ones.